This with continuation of series ‘Passionate People’, we are receiving huge response. We present the first such story and view from Bhavana N pursuing MBA (HR) student of Balaji Society, Pune. Who say’s dreams don’t come true? Dreams do come true, provided you religiously work to make them reality. Passionate people believe in their dreams & for them fulfilling this dream is not an end in self but a beginning, a means to achieve an end. I would share with you stories of two ordinary individuals like you and I, who had a dream to study at the coveted IIM’s. One common thread in both the stories is “perseverance”. Yes! This is one quality found in all successful individuals, they simply don’t quit. 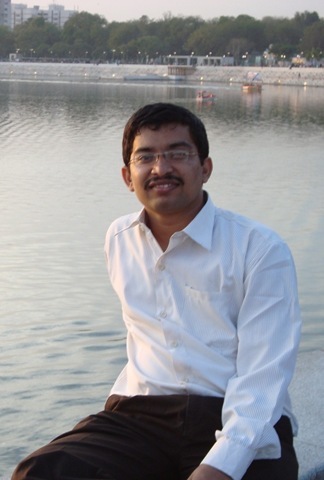 Siddharth Agrawal, an IITian & CAT 2006 topper. You would now think – IITian, no wonder he cracked CAT. I agree there are many IITians who crack CAT and make it to IIM’s but there are many more who don’t make it. 2006 CAT was his third attempt. He learnt his areas of weakness from his failures in earlier attempts and worked on them. He didn’t give up, he believed in his dream. Sharing his experience of having topped CAT he says, “My repeated failures in CAT did not make any difference to me in spite of advice from my friends that it was not my cup of tea. I did not have any problem with peer pressure and I simply took each failure as a stepping stone to success.” Another important inference from the above statement of my friend is that, people who are passionate about their dream do not let peer pressure effect their performance, they are aware of the competition but they do not compare themselves with others, rather they compare their present performance with their own past performance and look for signs of improvement. For someone who is a double graduate, post graduate, delivered some small scale IT projects individually and has a few more feathers in his cap, it’s frustrating not being able to clear GD & PI of three IIM’s and XLRI, thrice in a row. This is the story of my cousin Saurabh Nyalkalkar who is currently pursuing FPM at IIM A. Year after year, I had seen him preparing with the same zest for CAT. There was never a drop in his efforts to prepare for CAT – revise the basics, take mock CAT, analyze every paper, etc. What astonished me was he never considered applying to any other B-School. Despite being advised by many to apply to other B-Schools, he never purchased any of the application forms. This was the depth of his passion to pursue FPM from IIM A. Like Siddharth, he too never let his failures deter him from pursuing his dream. Passionate people are self driven and never lose their focus. Every individual has the potential to make his or her life story extraordinary, it’s just a matter of believing in your dream and being passionate about it. 1 Bhavana, CAT, GD, IIM, IIT, IT, PI, Saurabh, XLRI.. I really appreciate your efforts on this article and yes this is very inspiring indeed. We used to learn inspirational stories of a spider trying to climb a wall…. ; this article is no less. Perseverance and Passion are indeed a deadly combo to pursue one’s goal.